Neck stiffness usually describes a feeling of tightness and tension in the soft tissues of the neck anatomy. In less common circumstances, stiffness may describe a feeling of resistance to movement within the spinal joints themselves. Regardless of where stiffness is expressed, the feeling is highly uncomfortable, particularly when the symptoms form a chronic pattern. Stiffness in the neck is one of the most often reported of all symptoms in the cervical region. A few patients cite instances of stiffness at the base of the skull, while most others report it on one or both sides of the cervical spine, near the base of the neck. A small minority report a stiff feeling centralized within the spine, usually in the middle to lower cervical levels. Stiffness might be just a perceived feeling or it may be an indicator of an actual injury or structural problem. This investigation into cervical stiffness will detail the reasons why so many patients have chronic tightness in their necks and what can be done to provide relief from this terrible neck tension. Muscular stiffness can result from overuse. Many patients face tightness in the neck after periods of hard labor, such as when snow shoveling, lifting or gardening. This tense feeling might reside in the neck itself, but is more commonly found at the juncture of the shoulders and might encompass spinal and muscular structures from both the cervical and thoracic regions. Stiffness is commonly reported after extended periods of static positioning, such as when sleeping or traveling long distances by car or plane. Stiffness may definitely affect the muscles due to ischemia. Oxygen deprivation problems may be structurally-induced, but are more often the product of the mindbody interactions. A majority of chronic stiffness complaints are ischemic in nature and are usually enacted by psychosomatic mechanisms. Other chronic stiffness concerns might be caused by repeated problematic ergonomic scenarios, such as working at a desk or using a computer every day. In other cases, postural issues can cause chronic stiffness from standing, sitting or lying in unfavorable positions repeatedly. Injury or degeneration of the spinal structures can cause deeply-perceived stiffness. These types of structural problems can affect the soft tissues of the spine, such as the ligaments, or might affect the spinal joints themselves, typically through the arthritic processes. Stiffness might be expressed because of a transient or enduring disease process, tumor, circulatory concern or other non-musculoskeletal causation. Discovering and addressing the actual causative mechanism is crucial in order to break the pattern of stiffness and regain a normal, healthy feeling in the affected neck tissues. This objective can prove to be rather difficult for many patients, since the true source process may be difficult to ascertain in some instances. When a diagnosis can be made, treatment should bring about relief. Depending on the specific cause, therapy may include conservative approaches, such as chiropractic or physical therapy, or invasive methods of care, such as injections or surgery. However, when treatment fails to bring about relief, the diagnosis may be faulty. This fact helps to clarify why so many patients endure ongoing stiffness, despite proactive care. If no diagnosis can be made, then the patient is truly at a dead-end, since they do not know which treatment, if any, is best indicated to correct the tension in their neck. In these scenarios, caregivers will often start the patient on a regimen of conservative, but escalating therapy, in order to find some modality that may work. Call this approach “medical guessing”. Postural and ergonomic scenarios are usually easy to discover and correct completely using the least invasive treatments, such as Alexander therapy or workstation adjustments. Chronic muscular problems, due to injury or overuse, can usually be rectified with physical therapy, heat and ice or minimally invasive procedures. Stiffness in the spine itself might not be treatable, except through very damaging surgery or by using purely symptomatic methods of care that reduce the discomfort, but do nothing to resolve the source. Meanwhile, ischemic stiffness patterns can usually be treated pharmaceutically, for structural concerns, while mindbody variants are best left for knowledge therapy applications. 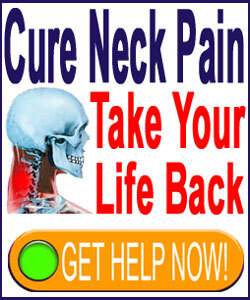 Neck stiffness is kind compared to pain, but often does not exist as an exclusive symptom. Instead, the vast majority of patients with chronic and unresponsive stiff necks also cite pain and other neurological conditions, as well. Personally, stiffness is one of my major long-term symptoms, in my neck, lower back and legs. I can vouch for the fact that even on the rare occasion when pain is absent, the stiffness can be almost as bad, when muscular tension literally locks the body into uncomfortable positions and resists movement of any kind. To combat my particular form of chronic stiffness, I choose to avoid pharmaceutical or medical care and concentrate on using exercise to help keep my body in motion. While not providing a cure, I have found swimming and walking to be the absolute most effective physical methods of treating my pain and stiffness for the 3 decades that I have been suffering. Of course, I also utilize alternative medicine practices to address the mindbody contributors to my pain, as well. It is always prudent to consider the effects of stress on the body, since both conscious and unconscious emotional tension can translate directly into the anatomy.